When I suddenly lose my appetite, I know I'm unwell. Just took medication and waiting for the kick to come. But before I concuss, I'm going to blog something decent. 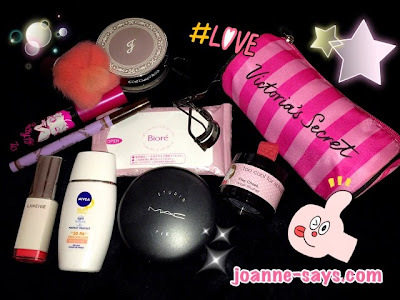 Just a short post coz' I need to rest, I've to attend a course for LCCS tomorrow from 9-6pm! Remember this? 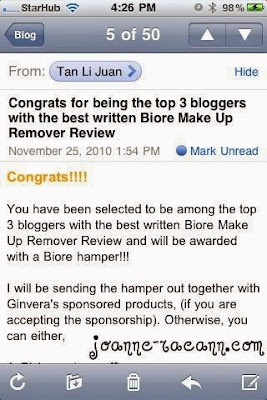 :) Many years ago, I was being sponsored to do a review via TSS for Biore eye makeup remover and facial cleansing sheet. 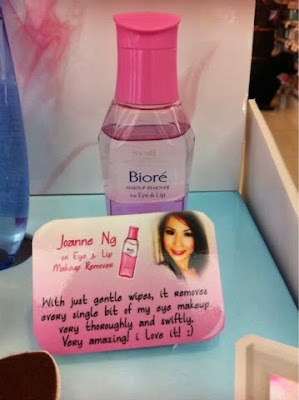 Till now, I still swear by my stand, that Biore eye makeup remover is the best eye makeup remover I've used so far. And their facial cleansing sheet is one of my BEST travelling essential becos it's so convenient and hassle-free! No need for cotton pads or worrying about liquid exceeding 100ml, if you don't feel like checking in your luggage. I'm saying this now becos I've been travelling lately, and I've encountered all these problems. 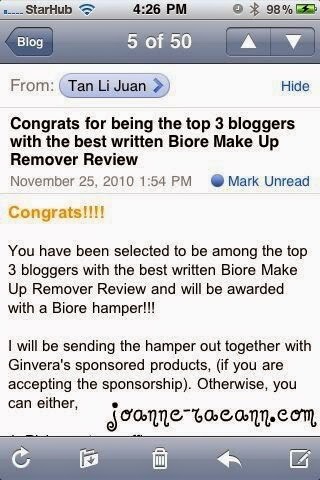 Just feel like sharing it with all of you! I'm floating already. Good night!